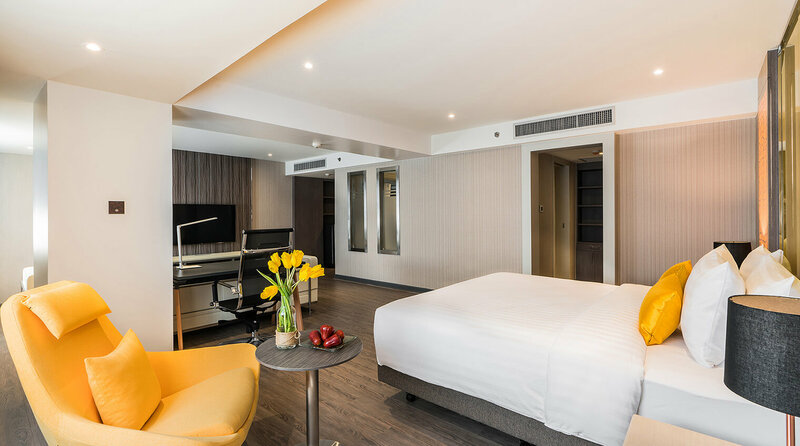 Total of 324 rooms, and in contrast to what at some hotels can be a confusing array of several room configurations sometimes with only slight differences among them, at Hotel Verve room types are limited to three distinct layouts: Deluxe, Grand Deluxe and Executive Suite. 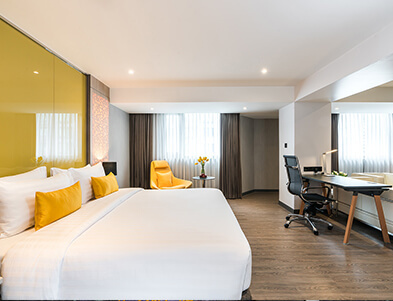 This keeps to Hotel Verve’s guiding principle of providing an uncomplicated yet always superior experience. It’s a principle not unlike that which informs Japanese art and design, whereby a focus on fundamental aspects, free of unnecessary complications, makes for a sublime experience. 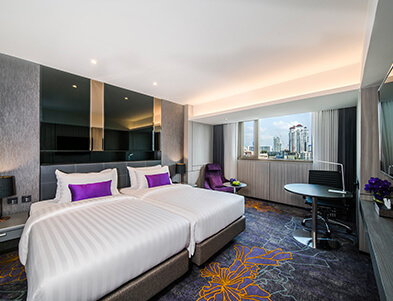 Hotel Verve Bangkok @ 2019. All rights reserved.